Hired by eminent landscape architectural historian Dr. Cynthia Zaitzevsky, this Landscape Report was one of Skip’s first commissions after graduating with his MLA. In order to inform major restoration efforts, Dr. Zaitzevsky was contracted by the Metropolitan District Commission (now DCR) to conduct extensive research into the parks and parkways of Boston’s “Emerald Necklace” park system. Olmsted Park, known as Leverett Park until 1900, forms the key link between Jamaica Pond and the Riverway in Boston. As technical consultant, Skip spent months studying the plans and letters of the Olmsted firm, Brookline Town Reports, and the Annual Report of the Boston Park Commissioners. 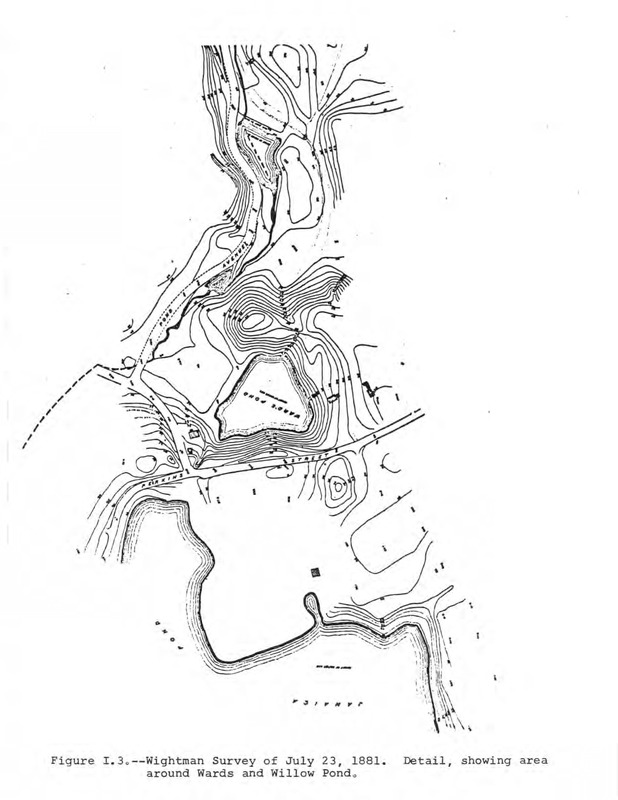 The findings of the Historic Landscape Report include documentation of the Olmsted firm’s planted vantage points, sophisticated flood-control designs, and an inventive chain of educational habitat ponds that was to serve the Natural History Society (now Boston Museum of Science), which has since been lost. To access the completed draft of this research document, please click here.